How did Canada end up in Latvia? A big part of the answer is found in France. Multiple sources and documents tell CBC News, France — not Canada — was planning to join the U.S., Britain and Germany as NATO "framework" nation, but repeated attacks at home have tied down the French military. Canadian troops have been thrust into a leadership position with one of NATO's framework battalions in the Baltic states largely because the French have been tied down with military operations at home, CBC News has learned. But a series of government, defence and diplomatic sources tell CBC News that — until just recently — many discussions at NATO involved France joining the U.S., Britain and Germany as a lead nation in the combat unit, whose purpose is to deter Russian expansionism in eastern Europe. Canada originally intended to play only a supporting role in one of those battalions, according to the sources and documents obtained by CBC News under access to information legislation. The records show the issue was discussed by former defence minister Jason Kenney and his French counterpart in a telephone call prior to a NATO ministers meeting just over a year ago. "France has signalled its intention to serve as a 'framework nation' for the Very High Readiness Task Force in the longer term," Kenney was told on June 5, 2015. The documents say France was planning to be in the role until at least 2020. Canada was, at the time the note was written, still "examining how best to contribute" to both the task force and other alliance measures. Sources say that remained the position when the Liberals came to power last fall. The idea of Canada taking the lead only emerged late last spring as it became clear the French military was becoming increasingly stretched — both at home and abroad — following repeated domestic attacks, including the Charlie Hebdo massacre and the slaughter of concert-goers and restaurant patrons in Paris last November. The state of emergency in France, which had been expected to end later this month, was extended following the attack last week on Bastille Day revellers in Nice. Prime Minister Justin Trudeau expressed his solidarity with the victims of the latest attack on Monday by signing a book of condolence at French embassy. Nicolas Chapuis, the French ambassador to Canada, says his country remains the third largest contributing nation to NATO and will deploy 4,300 soldiers on alliance missions this year. 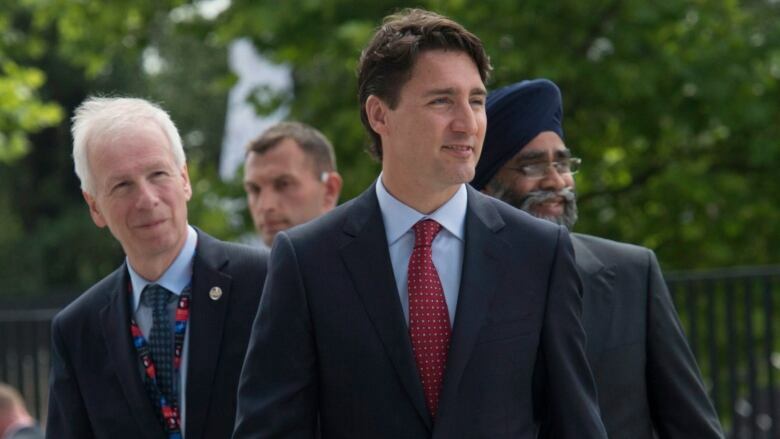 "We told them in the course of the preparation for the (Warsaw) summit, that even though we would happy to contribute soldiers to the battle group ... we did not want to take up command of these forces," Chapuis told CBC News. France will, however, send troops to support the British battalion in 2017 and contribute to the German unit in 2018. He says his country has approximately 10,000 troops deployed domestically on the counter-terror operation known as Op Sentinelle and it constitutes a "strain" on the country's military. The French position only became clear in June and sources say Gen. Jonathan Vance, chief of defence staff, saw it as an opportunity for Canada to take a leadership role. Discussions took place among the military, but quickly elevated to the diplomatic level where both the U.S. and Britain turned to Canada to head up the fourth battalion. "This wasn't on our radar until just a couple of months ago," said one Canadian official, who is familiar with the file, but only authorized to speak on background. The tight timeline means Canada is scrambling in the search for partner nations to fill out its battle group to the estimated strength of 1,000 troops. Italy, Slovakia, Croatia, Poland, and a combined Portuguese and Spanish contingent, are among the potential troop contributors, according to the sources. Canadian officials, briefing at the Warsaw summit last week, described the brigade that will be stitched along Russia's western border, as "a trip wire" that would set off alarms should Moscow attempt to interfere in Estonia, Latvia, Lithuania — or even Poland and Romania. The idea, they said, was to buy time for NATO to mobilize a full response. But a recent study by the Centre for European and North Atlantic Affairs, an independent non-governmental agency in Bratislava, Slovakia, raised questions about how quickly and effectively the Russian military could surround and cut off each of the NATO battle groups, in the event of a crisis. Moscow will soon have the capacity to call out 240,000 troops — roughly 60 brigades — almost at moment's notice, said the report. 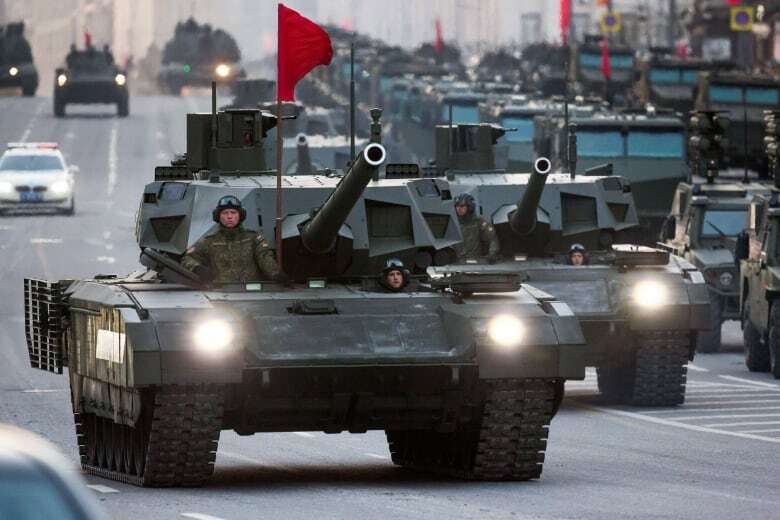 Since 2008, the Russian military has had the stated intention of being able to deploy at least 65,000 troops over a radius of 3,000 kilometres within 72 hours. 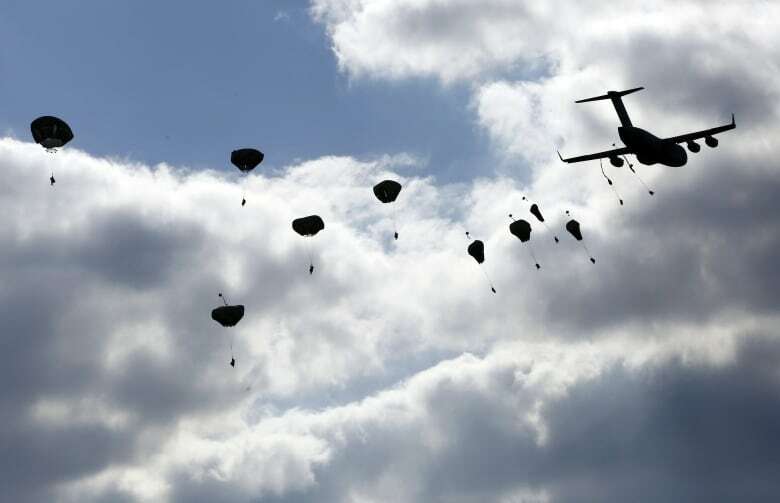 In theory, all of the country's highly trained airborne troops could be moving within 24 hours. 'I think it's pure speculation, at this point.' - Lt.-Gen. Paul Wynnyk, newly appointed commander of the Canadian Army. "It is a speed and scale which de facto nobody is able to react to, not even NATO Scandinavian countries or NATO as such itself,"
Perhaps even of more interest to the Canadian military is Russia's intention to install sophisticated anti-aircraft and anti-shipping systems in Kaliningrad, a tiny spigot of land sandwiched between Poland and Lithuania along the Baltic Coast. The deployment of Anti-Access/Area Denial capabilities, especially the S-400 surface-to-air missiles, would not only "terminate NATO's ability to reinforce its units in the region, but also enable it to gain control over almost half of Polish airspace, and huge part of Baltic states' airspace by creating no-fly zones." The new commander of the Canadian Army downplayed the notion NATO troops could be cut-off in the event of heightened tensions, or even a limited conflict with Russia. "I think it's pure speculation, at this point, " said Lt.-Gen. Paul Wynnyk. "It's been quite clear, right from the beginning; right from the (NATO) secretary general down, down to our minister that we're deploying troops forward as part of these composite battalions as a deterrent effect." Conservative defence critic James Bezan said he believes no one should dismiss the report out hand. It documents Russia's ability to rapidly mobilize and project power, and the Liberal government should take note considering how long it takes NATO and Canada themselves organized with vastly smaller deployments. "It seems Russia can stand up a fighting capable force…in a matter of days, not months" he said. "We have to go into this with eyes wide open." Parliamentarians, Bezan said, want to know as soon as possible which allies will be joining Canada in Latvia, what equipment they'll be bringing, and what the plan might be in the event of a crisis. "All of the i's need to be dotted and t's crossed, so we know exactly what we're getting into here," he said.